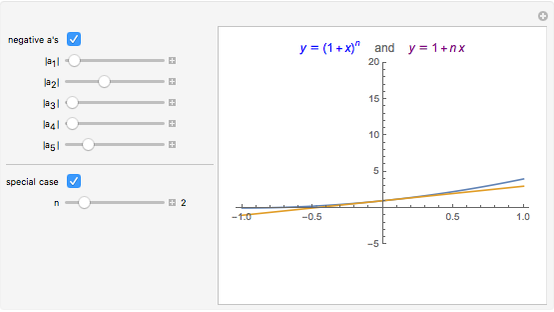 The binomial inequality states that if are real numbers with the same sign and , then . 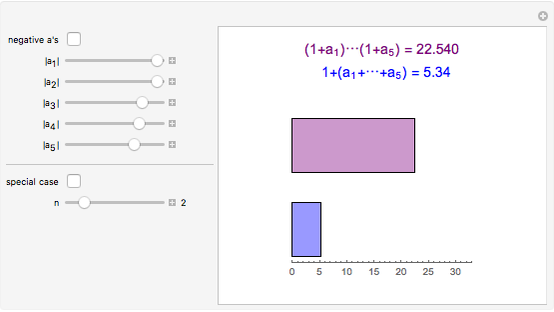 In this Demonstration, you can compare the two sides of the inequality for various values of the numbers involved when . A common special case of this inequality occurs when the are all the same. If we call this common value , then the inequality reads . 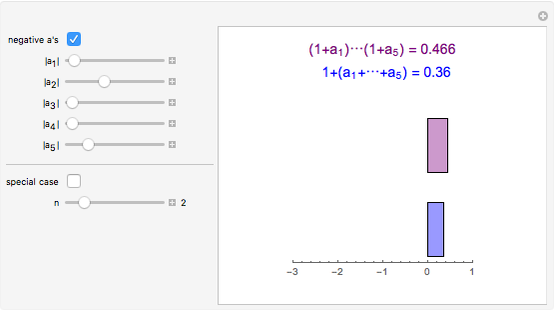 By checking the special case box on the left, you can view a plot of the two sides of this inequality and use the bottom slider to vary . Chris Boucher "The Binomial Inequality"